Do you like it spicy?..Do you like it sweet?..If that’s a YES, then you’ll love this cured meat! 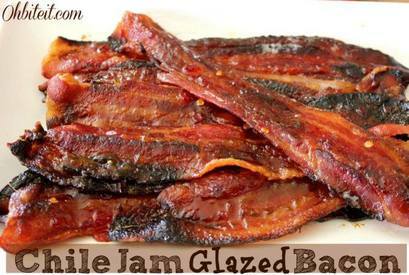 Hold onto your hats people..Bacon just got BETTER! I know, I know..it sounds impossible and totally crazy, but trust me! This sweet, spicy and sticky Bacon is the BEST Bacon ever to cross my lips, and believe me..these lips have seen their share of Bacon..haha!